Y’all know what a big fan I am of maximizing my art, right? 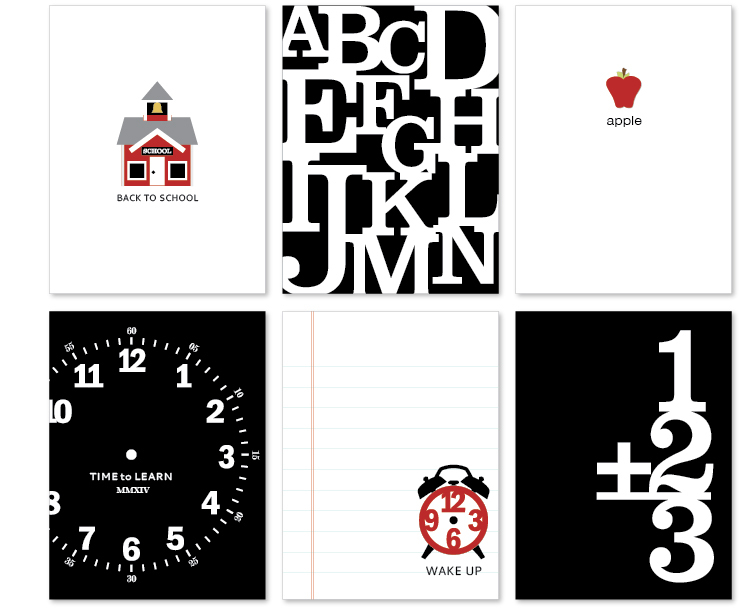 Well for the past couple weeks or so, all I could think about is what could I do with designs from the This+That: School kit (on account-a it is the season), a few 3×4 rectangles and a little bit of text. And this is what came to fruition. (The large clock face is a printable and comes in the full kit. Um. I don’t think it can get much easier than that to make your own set of cards! You get to be the boss of the art. You can choose what colors you’d like, the placement, the size, the background….whatever. You can do this in Silhouette Studio or Photoshop/Elements. These are great Kerri. I love seeing examples of how to “stretch” the kits!